My previous spectra comic bothered me a little. 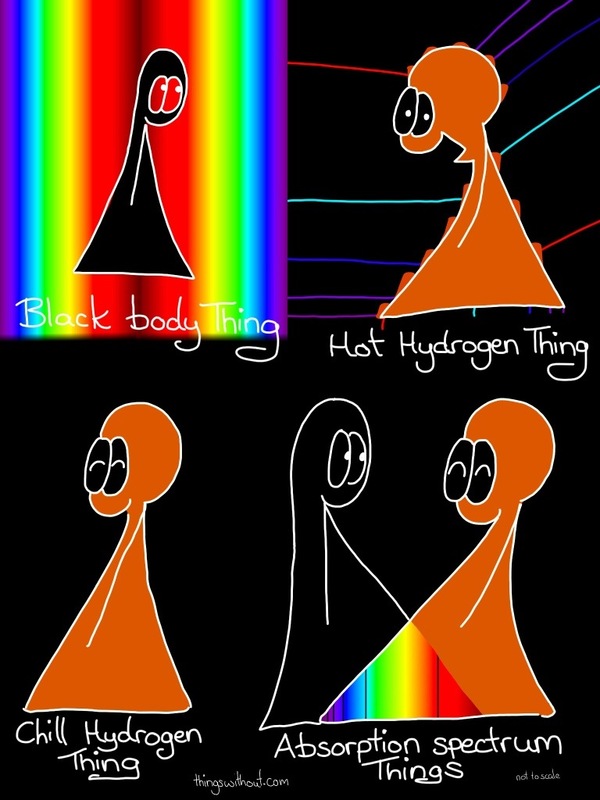 And while this is still not 100% accurate I feel better now that the continuous spectra comes out of both sides of the black body thing. I lost my stylus and was sad that I would be unable to make an update for you. Then Jamie lent me his stylus and then all my ideas ran away. Then I had an idea, but I had returned Jamie’s stylus. Then I remembered this thing called pen and paper. The pen leaked and smudged all over the first version, but the second version I managed to protect a little bit more. 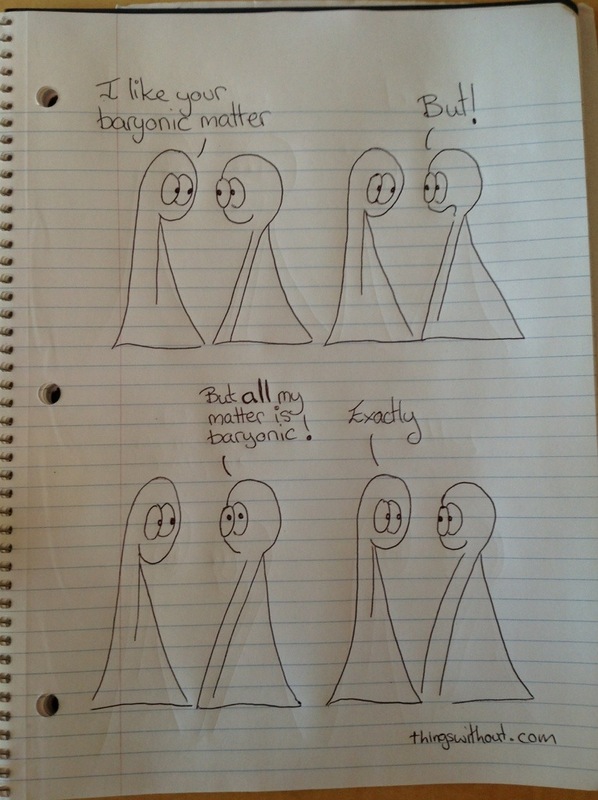 Baryonic matter is matter that is made out of atoms, if it’s on the periodic table it’s baryonic. Next time you hear someone say on a tv show, oh noes baryonic radiation! You too can giggle. Thanks Launch Pad!